Throughout intersession, I had the exciting opportunity to work as the social media intern in the Marketing Department at The University of Scranton! I worked roughly 20-30 hours a week maintaining the university’s presence on all social media platforms including Facebook, Twitter, Instagram, Tumblr, Flickr and more. 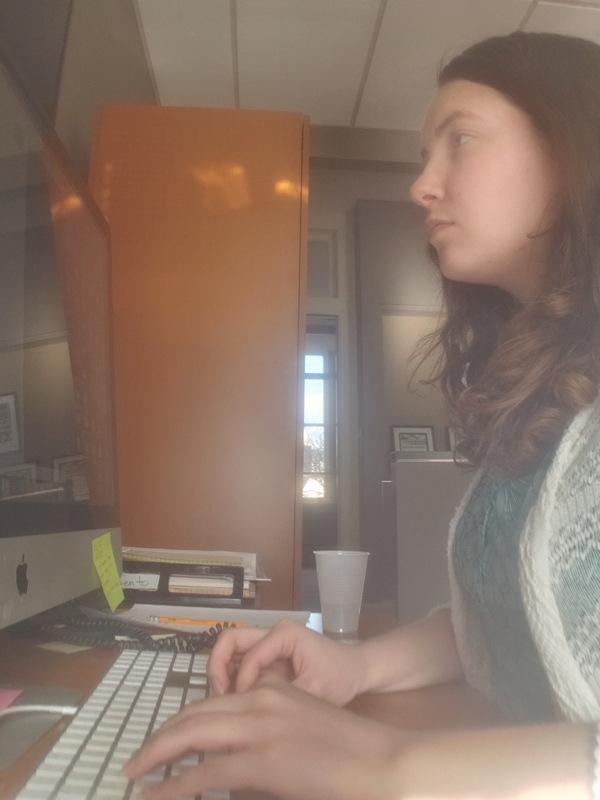 My typical day on the job consisted of email outreach, content planning, scheduling social media posts using Hootsuite, updating social media statistics for analysis, and taking pictures. My main responsibility was the email outreach. I corresponded with students, faculty, and staff about writing a reflection, or answering questions for a Q & A regarding their intersession experiences which ranged from service trips to leadership opportunities, study abroad classes, research, etc. Once I received the content submissions I would send them to my supervisor for editing. Following editing, I uploaded the stories into the Content Management System (CMS) to be published in our January editions of Royal News. Since intersession is really short, there was not a lot of time to plan out content, which made it more challenging to strategically schedule the stories. I carefully planned out deadlines for reflections and Q & As so they would accommodate the contributor’s trip dates while providing a variety of material for our readers each week. For example, it would be redundant if one edition had three study abroad reflections back to back, so I scheduled a student study abroad reflection to be due in the same week that a faculty member was writing about a service trip or their intersession research. To make the most of my time at the internship, I wrote out daily to-do lists to help prioritize my tasks. I would often have up to 10 tabs open on my computer, so I could easily switch from one task to another which helped keep me in a productive mindset. If I found myself struggling to concentrate while working on one specific task for a prolonged period of time I would switch to working on something else on my list for an hour to allow my brain to switch gears and recharge. One of the major skills I learned while working there was how to use CMS. This software application is used by many companies to create and manage digital content such as newsletters and websites. Learning how to use CMS definitely makes me feel more prepared to step into the workplace after graduation. I expected there to be a lot of work on a computer going into this internship, so I wasn’t surprised when I spent a lot of time scheduling posts for Facebook and Twitter. However, I was pleasantly surprised at the nice balance of computer work and in-person work. In addition to typing Tweets, I also got to explore campus to take pictures for Instagram stories as well as interview individuals and write stories for The Scranton Journal. I would advise any college student to take an internship during intersession or another time of year because the things you learn working as an intern opposed to in the classroom tremendously add to your skill set and confidence in a workplace setting. Don’t be afraid to try something new! Campus photo taken during internship.